In my earlier, younger, gung-ho days – I went out and purchased myself a pair of Meindl Himalaya Mountain boots – steel shanked, high rand, super stiff – perfect. For the mountains. Of course – I am (when I get out) a bush hunter – so way over the top. Heavy, overly stiff and actually – rather noisy. Since then, I have played around with lightweight boots, shoes – both hunting and non-hunting options – but – hadn’t managed to find the perfect fit and the perfect boot. That quest may now be over! Now, some of those who know me, may be wondering why this article is on Precision Shooter instead of my other, hunting oriented site, The Bloke, well – because the simple reality is, I am not doing huge amounts of hunting at the moment, I was actually, basically on the lookout for some good field shooting boots – the fact these are also going to be great for the hunts and client work I do, is awesome! There are plenty of different trains of thought when it comes to footwear. Some like heavy and dependable, some are going lighter – to the point of wearing running shoes out into the bush. The general train of thought, especially with guys working towards lighter and lighter setups and packs, is that you can get away with a lighter boot/shoe as well – but – I personally have found, that as soon as I put a pack on, say with competitions worth of ammo, a days food, spotting scope, tripod, camera gear and more – the notion of a walking around all day in a pair of shoes isn’t that appealing. After the first roll of the ankle on a hillside – even less so. I wanted a lightweight boot, that still provided me with plenty of lateral (ankle) support when carting a pack, but was light enough that I didn’t feel like I was walking around in a pair of snowshoes all day. Hunting & Fishing to the rescue! 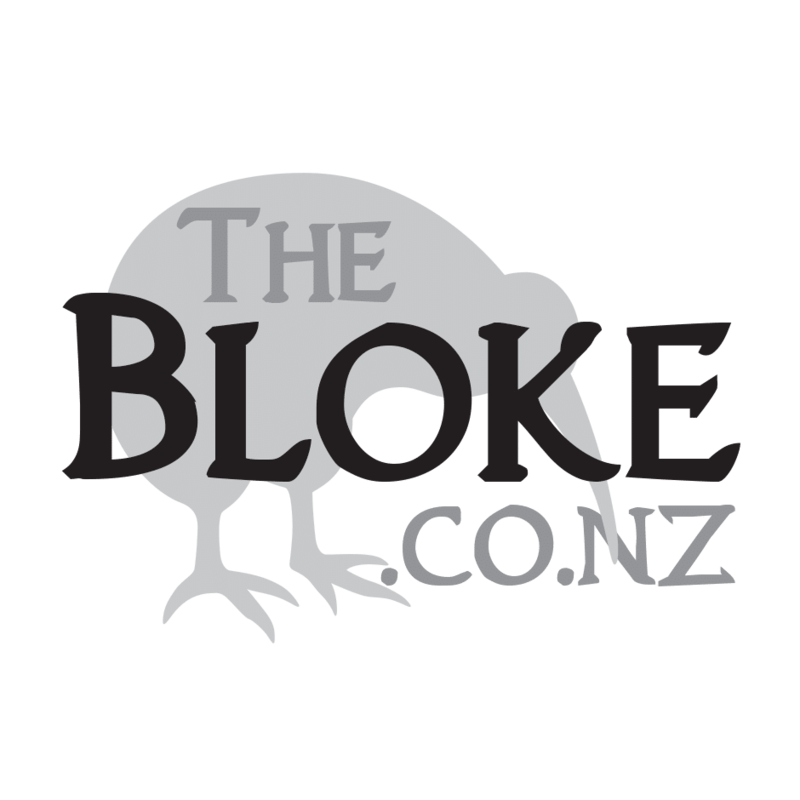 While in chatting with the guys at Hunting and Fishing North Shore – I thought I would check out the boots on offer. I was actually looking at another brand that I have worn for a few years when I struck up a conversation with one of the owners there. His suggestion, after asking what I was planning on using them for was the Lowe Z-8S GTX. He was wearing a pair at the time (actually the Z-6S GTX by memory) as well a couple of other staff. I was aware of the brand, and popped off to do my due diligence (i.e. 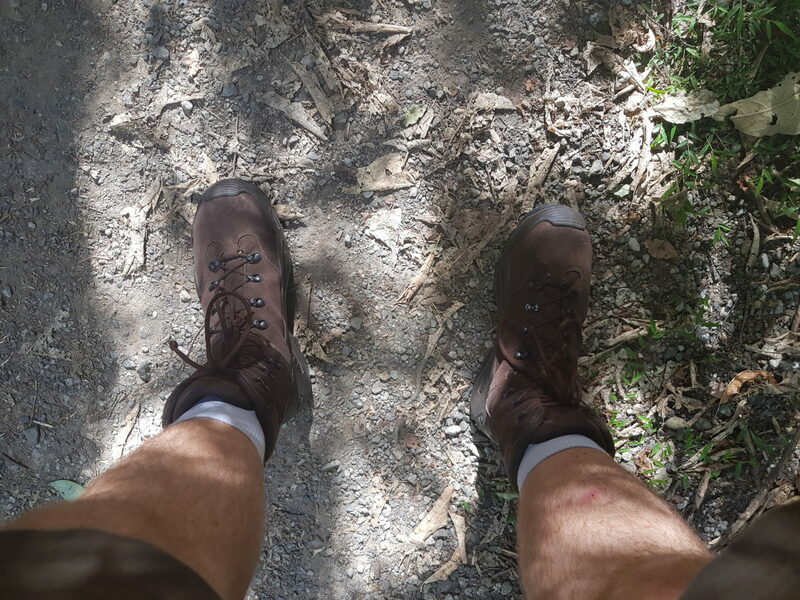 reading all and every review I could online), and, a week later, in true form – picked up a pair while on the way to walk around a hillside for a day with a heavy pack on! Break-in be damned! I had been assured that they weren’t going to need any – so bought them, put them on, drove down and gave them a good workout. And you know what. They didn’t. My feed loved them. They loved the drive down in them, they loved walking around in them, they just love them! I am as best as I understand, flat-footed – as such – many pairs of shoes and boots are uncomfortable because the foot arch pushes into the bottom of my soles and creates unneeded pressure. Not an issue with these. In fact, these really are as comfortable as a pair of sneakers. Actually, they have replaced my sneakers – my old faithful DC’s being retired because 1. they needed to be and 2. these Lowe’s are easily as comfortable. I initially was a little wary of the lacing method on these boots. I had grown accustomed to the open eyelets in the Hunters Element boots – this has meant I can use surgeon Knotts in order to custom lace the boots – separating the tightness between sections. The Lowe Z-8S GTX doesn’t have open eyelets – so I was worried about pressure spots over the arch of my foot. No issues. I simply pull the lower section snug (they will loosen a little in the first half hour due to things settling, then pull the top snug and tie off. That’s it. No magic, no crazy lacing. The one ‘alteration’ I did make was tying a couple of knots at the top of the laces – this is because I have taken to wearing these things everywhere – and will often just leave the laces undone, getting all gangsta on it. Originally the laces will pull out of the top eyelets, but the knots just hold them in there. Perfect! The boots, when undone are still equally comfortable – but simply looser – and if I am going ‘off-road’ with them – I just pull up the laces, tie them off and am done! The split leather looks sharp, without making me feel like I need to polish them, in fact – after a weekend out in the hills, I basically got home, brushed them off, put them up to dry and well, that was it. Apparently, it pays to give them a decent coating with LOWA Waterstop and Active Creme – so may try that soon – but after several months of wearing them, genuinely, nearly every day – they still look great. They are lined with Goretex. I haven’t done a full dunk test on them – but there is a video below where the guy just hops into a bathtub – so I have a little faith there is no issue there – certainly – they dry fast – and the pant’s above them are generally sopping wet without the boots letting a thing through. The edging on them gives the leather a bit of protection – certainly – enough for what I am using them for – sure – if I was heading up the mountains I would want something with a more solid rand around them, and likely more structure – but I am not – so these really are the perfect mix of lightweight build, with enough ruggedness and structure to support the loads in the environment I am using them in. Good. Certainly, I have had one instance, on a wet mossy bridge where things got a little hairy – but I really feel, that unless I was wearing spikes, I was going to have an issue. Again – where I am generally using these, they are perfect. The tread is aggressive enough to maintain a grip on the ground, while they are just soft enough to give a bit of shock absorption without it feeling like you are in big heavy moon boots. 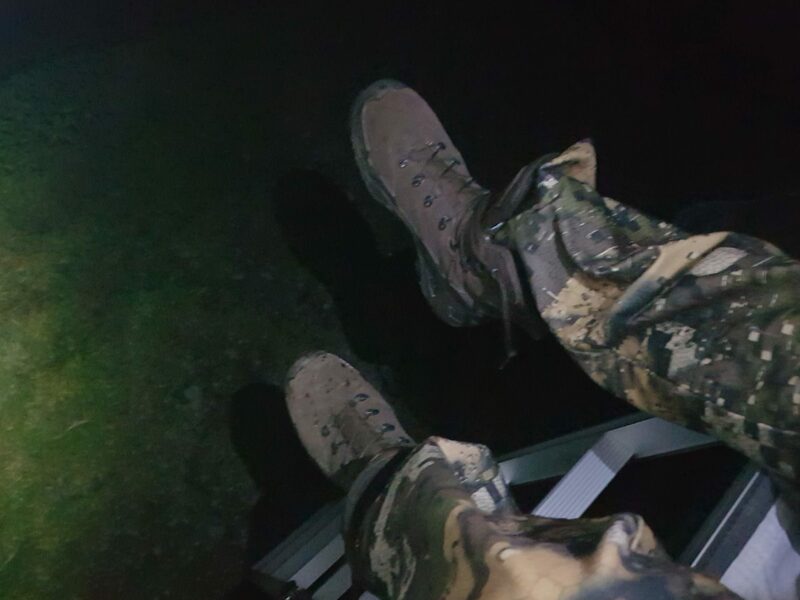 For those occasions where I do get out for a stalk, these boots don’t make a sound. 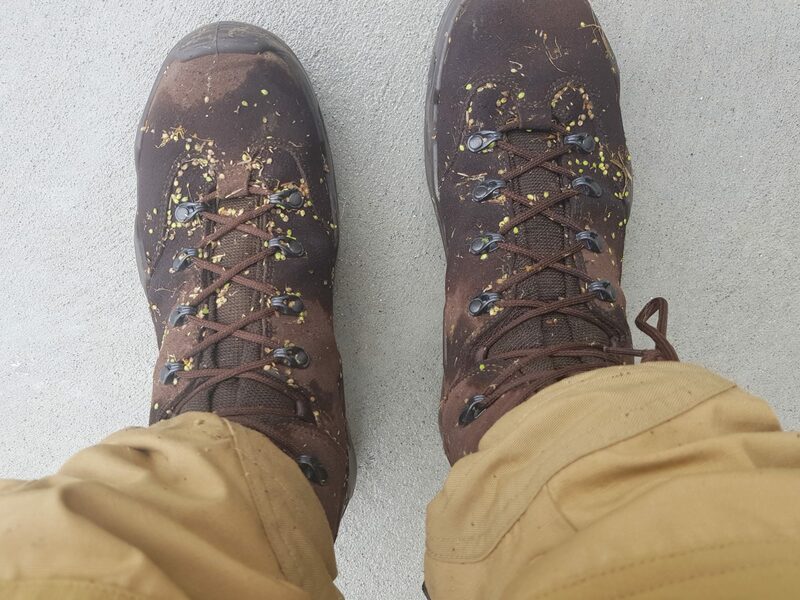 Sure – if you are walking on cornflakes in the middle of the Kaimanawa- you are still going to have an issue – but I am not really prepared to start walking around in my socks just yet. Mainly though – the boots themselves don’t creak like some of my previous leather boots have. Well, more importantly, with appropriate socks (i.e. boot liners) my feet haven’t been getting super hot during the hot, humid summer we are having. If it’s going to be cold, I have enough room in them to put some heavier socks on. Again – these aren’t mountain boots – so I don’t plan on wearing them up there – so don’t really care how they would perform at that extreme! No, they are not cheap. Yes, they are at least twice as good as the last pair I had that cost half the amount. Sorry if this sounds like a gushy review, actually, no, I am not – they really are that good. I am wearing these in the hills, at the range, to the supermarket, picking the kids up from kindergarten – they are my go-to footwear for everything at the moment. Save your pennies, invest in some decent boots, your feet will love you for it.